Thanks to the internet, it is easy to discover local and area archives collections. 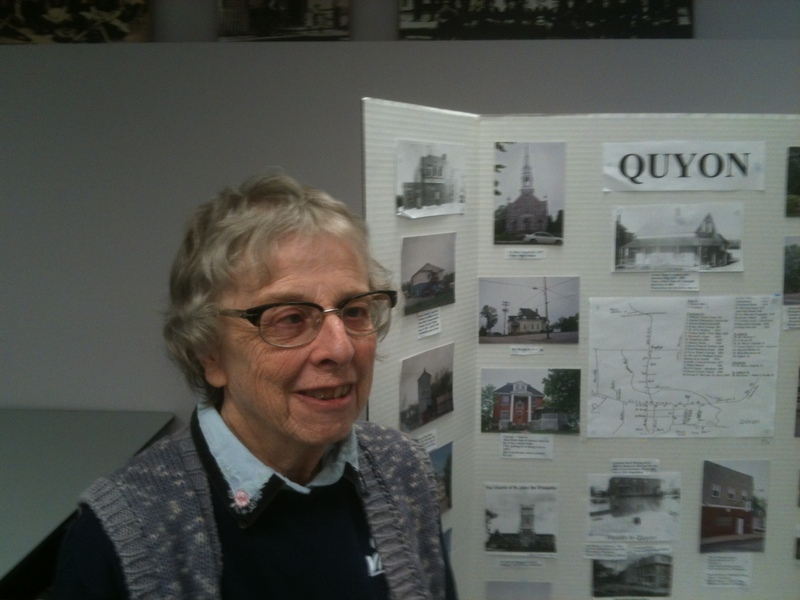 As I’ve suggested before, doing an internet search for the area you are interested in joined with the term “history,” for example “Pontiac County Quebec history” can lead to a treasure trove of information. Sometimes a similar search with the term “museum” is also helpful. Today, many local history groups have websites, and most will tell you in detail about their collection. And if they don’t, there is most often an email address you can use to inquire. I’ve found that, despite the abundance of material on the internet both free and pay-per-view, there is nothing quite like the trip to the archives or museum. In May, I took the hour and a half trip from Ottawa to Shawville QC, to the Pontiac County Archives, looking for ancestors in my Cadieux and Wilson families. When I went hunting through it later, I found it a valuable resource. For most towns and villages in Upper and Lower Canada, it provides a listing of the principal business owners and local citizens. I found there a record of my ancestor David Cadieux, listed as owner of a wagon-making business in Quyon QC. In a later edition I found the Renfrew ON business he worked for later on. Before this trip, I was unaware of the Canada Directory. I found the valuation rolls helpful too. Pontiac Archives has the original handwritten documents. They were invaluable in locating my ancestors and their relatives. This is a good example of documentary evidence not available in BanQ — the Quebec National Library and Archives (they actually offered these items to Pontiac Archives when they were ‘cleaning out’ their shelves! Lucky they were around to accept them!) and unlikely to ever be digitized and placed online. Only a visit would make their valuable information available. One more argument for the importance of local archives and history societies! My invaluable guide and helper was Venetia Crawford (pictured). Turns out she was one of the founders of the archives back in 1985! She explained the collection and assisted me in finding various items, sharing along the way some of her own researches and interests. This is another reason why the trip to the local archives is invaluable: the living resources found in the dedicated volunteers who know the collection and the local history, and can save you from wasting time and direct you to the most helpful resources. Always a wonderful thing to find someone who is as interested in your research as you are! “Bravo!” to Venetia, Pearl McCleary, Annie Gamble, Elsie Sparrow and all involved in founding the Pontiac Archives, which is presently run entirely by volunteers.